Vector layout with various elements related to the American culture and lifestyle. 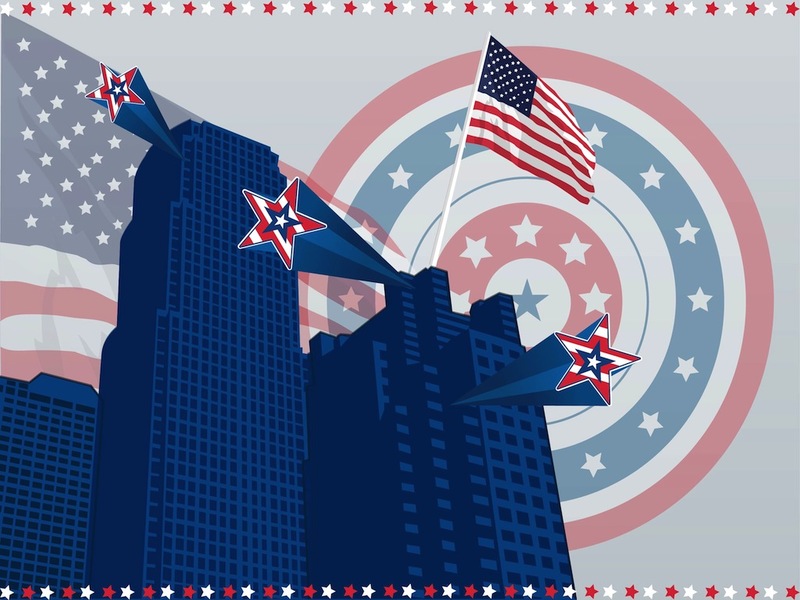 Rows of small stars, skyscrapers, big waving flags, three-dimensional stars in the colors of the flag and a round shield or badge with the same colors and star symbols. Free vector graphics for all America, USA and big country projects. Tags: 3D Stars, America, American, Flag, Skyscrapers, Stars And Stripes, United States.